Agnes Scott College, founded in 1889, is an independent liberal arts college for women affiliated with the Presbyterian Church (U.S.A.). The college was named in honor of Agnes Irvine Scott, a Scots-Irish immigrant to the United States. Her son George Washington Scott was the college’s primary benefactor and the Rev. Frank Henry Gaines, minister of Decatur Presbyterian Church, was the founding president. In 1906, Agnes Scott College was the first institution of higher education in Georgia to receive regional accreditation. 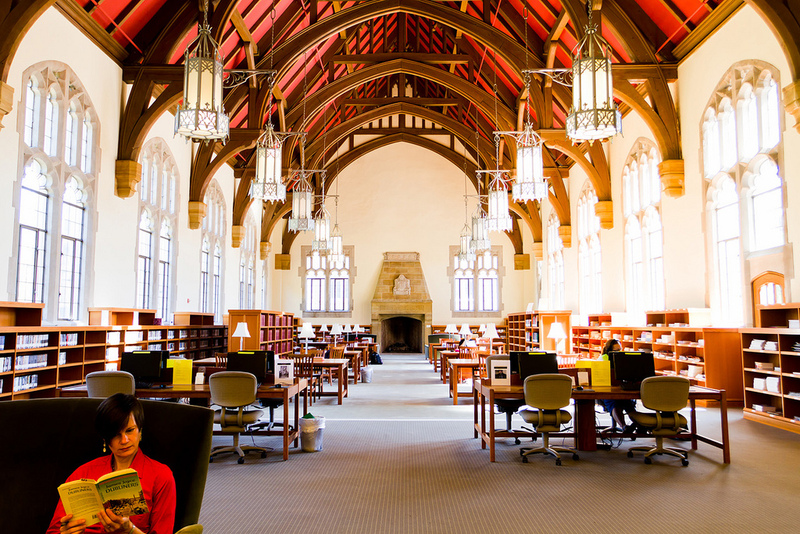 The McCain Library supports the educational programs of Agnes Scott College, contributing to graduating students capable of finding, evaluating, and synthesizing information. The Special Collections and Archives contain material related to the history of the college, its founder, students, faculty, notable visitors, and campus life over the years. Bloomfield College was originally located on the grounds of First German Presbyterian Church in Newark, New Jersey. The school moved to the former Bloomfield Academy on Franklin Street in Bloomfield in 1872, which was renamed Seibert Hall in honor of the school’s first president, Rev. George Seibert. Today, more than half of Bloomfield’s students identify themselves as first-generation and are the first in their families to enroll in college. In addition to subscriptions to print journals and databases, the Bloomfield College Library houses a collection of 58,000 volumes which contains unique items such as the Larry Qualls Collection of theater and film monographs and studies, multicultural studies, and Native American comics. The Library also exhibits artworks and creative works of students enrolled in the Creative Arts and Technology Division and provides a popular meeting space for student, faculty, and the Bloomfield community. Georgia State University (GSU) is a public research university with its main campus in downtown Atlanta, Georgia. GSU has over 51,000 students from every county in Georgia, every state in the U.S. and 170 countries. The University Library contains more than 1.4 million volumes. The library also acts as a Federal Document Depository, holding more than 820,000 government documents with electronic access to many additional titles; hosts several digital collections; and houses extensive special collections, many of which consist of records of organizations or papers of individuals documenting the twentieth and twenty-first century American South. Luther Rice College & Seminary was founded in 1962 with the mission to provide biblical education for Christian ministers and leaders. The institution was named after Baptist leader Luther Rice (1783-1836), known for his missionary endeavors and efforts to educate ministers in the Baptist faith tradition. The Smith Library offers over 60,000 physical volumes and nearly 500,000 digital resources. Luther Rice has offered online education for over 16 years and the library offers many electronic resources and services for distance students.